Here’s how a streetcar might work in Omaha. Envision a city where everyone can get where they want to go, where residents are more connected, and where transit significantly increases access to jobs and education, and is a catalyst for real growth. A streetcar is our next step in making this a reality. It won’t happen overnight, so let’s get started now. Where might the streetcar be built? Streetcars are most successful in areas where there is the most opportunity for economic growth and ongoing use. According to a recent study by Goss & Associates, the Farnam Street corridor not only brings significant ridership generators (major medical facilities, universities and cultural amenities), but has the highest rate of educated millennials in the region, which has been an important factor for other cities with successful streetcar lines. The corridor seen below is just one preferred route of many options. When would we be able to ride the streetcar? We could be riding the streetcar in as little as four years, depending on how we decide to move forward together. By reigniting the conversation today, we hope to motivate the community to prioritize a larger transportation conversation and to continue talking about the streetcar today. The corridor map seen above is the preferred proposed route from Metro and HDR’s Advanced Conceptual Engineering Report, April 2018. Projected annual impact of a streetcar on Omaha totals $21.3 million in added annual property tax revenue. Estimated streetcar related revenue projections based on Central Omaha Alternatives Analysis market projections, SB Friedman Development Advisors, 2013 and HDR Development Yield Analysis, 2016. How is a modern streetcar different from a bus or other forms of transit? A streetcar operates on tracks, typically mixed with auto traffic, and can be powered by overhead power lines and/or battery. Streetcar vehicles feature low-floor boarding for easy wheelchair, stroller, bike and ADA accessibility. The low floors also make boarding faster and easier for everyone. Streetcars have a higher capacity than a bus and can move more people more efficiently with fewer vehicles. Streetcar vehicles also last many decades longer than buses. While streetcar systems do require an initial capital investment, operating a streetcar system is often less expensive per trip or passenger mile than traditional buses. Every city has its own answer to this question, and, as the process moves forward, Omaha will come together to develop a solution that works for us. How much will the streetcar cost? An Advanced Conceptual Engineering (ACE) study of the modern streetcar was released in March 2018, under the direction of Metro and the City. It was part of a larger federally financed enhanced transit study that began in 2008 and included the BRT. The study estimated the construction, maintenance facility and vehicle cost at $169.8 million with a 2021 completion date. The streetcar benefits many, so many will invest in its development. 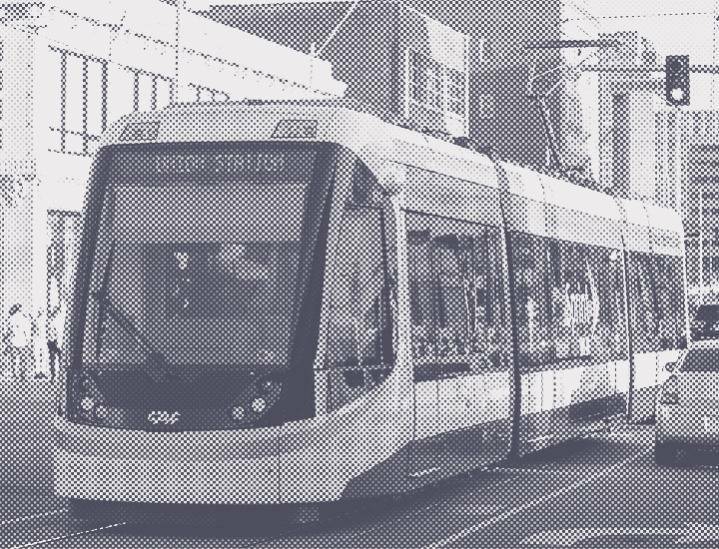 It would be inequitable for a single public or private entity to assume financial responsibility for the development of the streetcar line since the line will benefit a variety of private, public and quasi-public entities. A large portion of the funding to build and operate the streetcar system could be derived through value capture. Value capture is a type of public financing that recovers some or all of the value that public infrastructure generates for private landowners for a period of time. Without the streetcar, the value would not be created and thus the public dollars would not be available for other projects. It’s possible to pay for the streetcar without raising property taxes.